Canon 5D Mark III in March? Canon 5D MK II replacement due late spring? 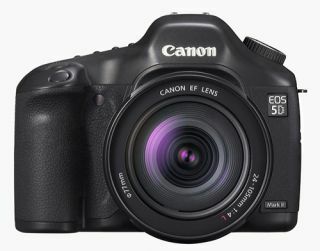 Canonrumors expects the long-awaited 5D Mark II replacement to be announced sometime in March, after Japan's CP+ show. This makes sense as it would give Canon clear ground between the unveiling of their full-frame DSLR update and the anticipated Nikon D800 launch, which is widely rumoured to be in the next few weeks. When it comes to the actual 5D Mark III release date, things are understandably still a bit hazy. In fact, we still don't know if the EOS 5D Mark II replacement will be called the EOS 5D Mark III or the EOS 6D. After the disasters in Japan and Thailand in 2011, the release schedules of most of the camera manufacturers are believed to have been significantly disrupted. Some reports hint that Canon will bring forward the 5D Mark III release to coincide with the arrival of the 1DX in March, although such a narrow window between announcement and launch seems unlikely. A release date in April is conceivable, though. More whispers about the specifications of the 5D Mark III are being heard, too. Unlike the ultra-high resolution 36MP sensor that's predicted to be at the heart of the Nikon D800, it's believed that the 5D Mark III's CMOS sensor will stay close to the 21.1-megapixels of its predecessor's (although we'd expect a slight nudge to around 28MP). It's in the areas of performance and handling that we're likely to see the biggest leap between the Mark II and Mark III, however. Eye-control autofocus is still being talked about as a possibility (wishful thinking on the part of those Canon photographers who owned an EOS 3, perhaps? ), as is built-in GPS tagging. Other expected features include DIGIC 5 processing, 19 AF points and 5fps continuous shooting.